After Yi Yun absorbed the Ancient Fey bone, the Nine Neonate Aspect Totem behind him grew even more ferocious. It practically swept through the gases on the fourth level and quickly, the black-misted Fey beasts and ghouls that possessed intelligence no longer dared to approach Yi Yun. Being near him was equivalent to sending themselves to death! After the Nine Neonate Aspect Totem devoured large quant.i.ties of black mist essence energy, it had a slight feeling of contentment. As for Yi Yun, he also sensed that the lacking blood and energy in his body that was a result of his powerful body was being slowly replenished. 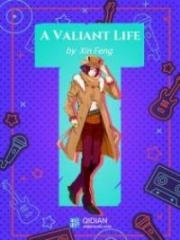 Yi Yun clenched his fist as he experienced the feeling of a body filled with energy. This feeling was extremely good. "As expected, the fourth level does not pose a problem for Yi Yun." Yi Yun had gotten his footing on the fourth level, so it meant his reaching the fifth level was certain. After all, according to Cang Mang's standards, as long as they reached the fifth level, even if it was for one second at the end, it would still be considered a pa.s.s. Actually, most people present no longer believed that Yi Yun would be eliminated by the Black Wind Valley trial after his ma.s.sive display of enduring the torment of the Ancient Fey bone's energy for four days. They were only doubtful about Yi Yun's body-tempering technique. "That punk sure is crafty. The Nine Neonate Aspect Totem is a human's energy-based method after all. When he reached the fourth level, he did not even use his body's strength." A Phoenix Firmiana State disciple said in disgruntlement. The Black Wind Valley was a test of the Fey race's bloodline and bodily strength. Yi Yun had used the energy-based methods of the Human race, so he naturally earned the disdain of the Phoenix Firmiana State disciples. Unfortunately, Cang Mang had never barred Yi Yun from using his Aspect Totem in the rules that he had set at the beginning. This allowed Yi Yun to find a loophole. Another Phoenix Firmiana State disciple laughed and said, "You expect him to use his body? Regardless of what body-tempering system he used, it’s impossible for him to accomplish it in ten or so days. Just the time for my body-tempering adds up to about twenty years." That Phoenix Firmiana State disciple had been cultivating for sixty to seventy years. About a third of his time was spent on body-tempering, so it was evident how much he invested in body-tempering. Noticing how Yi Yun was about to descend to the fifth level and the Nine Neonate Aspect Totem behind him was still snarling with its fangs and claws, as though it still could go for more, people understood why Yi Yun had previously stopped to absorb the Ancient Fey bone. Luo Tian, who was at the sixth level, shook his head and said, "So it seems that Yi Yun's absorption of the Ancient Fey bone was actually to nourish his Nine Neonate Aspect Totem. After the Nine Neonate Aspect Totem absorbed the Ancient Fey bone's bloodline, it naturally became a lot more powerful. Hence, it can absorb the degenerated Blood Dragon's energy in such an indomitable fashion. This strategy of his is ingenious. Unfortunately, it's such a waste to use an Ancient Fey bone to nourish an Aspect Totem. "With my Gigantic Demon Ape bloodline, I can sense Yi Yun's bodily toughness. It is not that strong. However, to make such a sacrifice for the Luo Divine Hall trials, Yi Yun is nothing impressive after all." Luo Tian shook his head. 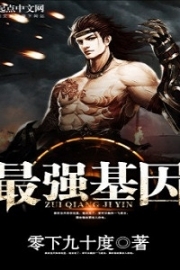 Actually, with Luo Tian's cultivation level and his ancient Gigantic Demon Ape bloodline, he could sense Yi Yun's body-tempering accomplishments up to a certain extent. Indeed, there was a limit to how much Yi Yun's bodily strength could improve in less than half a month. Using his Aspect Totem to reach the fifth level was most likely a shortcut. However, Luo Tian despised such shortcuts. He paid attention to Yi Yun because of Yi Yun's stunning performance at the Ancient Fey Edifice. However, now at Black Wind Valley, Yi Yun putting in so much time and effort in order to pa.s.s made him seem inferior. What Luo Tian said was actually on many people's mind. As Yi Yun's performance in the Ancient Fey Edifice was astounding, everyone had higher expectations of him, even if what was tested at Black Wind Valley was Yi Yun's weakness. At this moment, Yi Yun had already landed on the fifth level. Luo Fengling, who was at the fourth level, looked down. She was worried that Yi Yun could not withstand the level. The moment that he landed on the fifth level, the black mist formed Fey beasts and specters that were immediately several times more powerful than those of the previous level. The black shadows rushed at him maniacally and clashed with the Nine Neonate Aspect Totem! The Nine Neonate Aspect Totem roared as its nine heads danced in the black mist freely. Every head would snap at a specter or Fey beast. The energy contained within those black figures were devoured by it, strengthening itself. 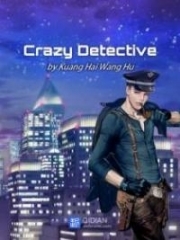 Seeing Yi Yun find his footing on the fifth level, Lie Ya revealed an extremely complex look. He had also found his footing on the fifth level just now. As for the sixth level, he could descend onto it, but he could not last long on there. So what if Yi Yun usage of his Aspect Totem was not the orthodox way? Now with Yi Yun at the same level as him, how could he feel any better? Thankfully, at this moment, a black-misted Fey beast grasped an opportunity to charge at the Nine Neonate and bit down on one of the Nine Neonate's neck. Instantly, the Nine Neonate's figure began to flicker violently. As the the Nine Neonate's master, Yi Yun also immediately sensed a chill in his blood vessels! The Aspect Totem was one with Yi Yun. So with the black gas eroding the Aspect Totem, it also managed to invade Yi Yun's body. Lie Ya was delighted and he finally heaved a sigh of relief. Thankfully, Yi Yun was not a freak of nature. He still did not have his footing on the fifth level and he was still slightly inferior to him. Lie Ya had lowered his expectations. Even in a field that was his expertise, he did not wish for Yi Yun to be far inferior to him. As long as there was a tiny bit of difference, he would be psychologically comforted. "The degree of my body-tempering is still slightly weaker. Although it has increased by a hundred, if not a thousand times in the short span of half a month, compared to the Fey race who have tempered their bodies for more than a decade, it is still inferior." Luo Tian's evaluation of Yi Yun's body-tempering wasn't wrong. Even with the Ancient Fey bone and the Purple Crystal, Yi Yun was still unable to bridge the chasm that was a result of time. However, Yi Yun did not care even if his body was not strong enough. He did not stay on the fifth level, and instead, he suddenly leapt down towards the sixth level! With this, both the Fire Cloud State and Phoenix Firmiana State disciples were stunned. You haven't gotten your footing on the fifth level, why are you going to the sixth? "Junior Brother Yi!" Luo Fengling cried out. Black Wind Valley was not a place of fun and games. If he was being careless, his mind and blood would be devoured by the black mist. It was even possible to become a r.e.t.a.r.d. 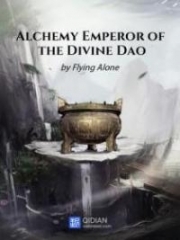 The Luo clan disciples present, be they Heaven Fey or not, would have to wait till they found their solid footing on each level before they dared to attempt the next level. And even so, it was easy for them to be inflicted with injuries. But now, with Yi Yun forcefully descending onto the sixth level, it appeared fatal. "That r.e.t.a.r.d is sending himself to his death?" Lie Ya sneered. He was waiting for Yi Yun to be swarmed by the black-misted shadows and inflicted with serious injuries. The sixth level was where Ran Yu, Gu Luo and Luo Tian were. The three of them watched as Yi Yun landed in between them. Ran Yu immediately moved away from Yi Yun. His intentions were clear. He did not want to help Yi Yun by sharing any of the pressure. People like Ran Yu, who had found their footing on the sixth level, were deliberately avoided by the black figures so as to not be devoured. However, a newcomer like Yi Yun was different. He was definitely ‘welcomed’! The moment that Yi Yun landed on the sixth level, a humanoid figure in black armor immediately charged at Yi Yun! That humanoid figure was formed by the black mist with the consumption of a warrior's memories. It was much stronger than the typical shadowy figures! Seeing this figure charge at him, Yi Yun turned serious, and from his chest, a hitch-pitch scream was heard. This screech was still reverberating as a gigantic three-legged Golden Crow phantom image charged at the sky from behind Yi Yun! The Golden Crow phantom image cried as it grabbed at the humanoid shadow! Before the Golden Crow's claws reached their target, rolling pure Yang flames began to burn and consume their surroundings! The moment that the evil energies touched the pure Yang flames, they melted like ice. The humanoid shadow paused for a moment and it immediately lost a lot of its momentum. And at this moment, the Nine Neonate also roared, and with the Golden Crow, they attacked the humanoid shadow in a pincer formation! Upon seeing this scene, all the Luo clan disciples present were astounded. They were waiting for Yi Yun to suffer, but now, Yi Yun had produced another phantom image. That was another Aspect Totem!? The human had two Aspect Totems? Furthermore, they were the Nine Neonate and three-legged Golden Crow, two of the best ancient great Fey. The form of this human's Aspect Totems were even better than their bloodlines as Heaven Fey. It was exasperating! 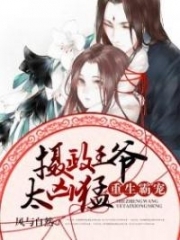 You're Read True Martial World Chapter 842 - Indomitable without Resistance online at NovelOnlineFull.com. You can use the follow function to bookmark your favorite novel ( Only for registered users ). If you find any errors ( can't read,broken links, can't load photos, etc.. ), Please let us know so we can fix it as soon as possible. And when you start a conversation or debate about a certain topic with other people, please do not offend them just because you don't like their opinions. You're reading True Martial World. This manga has been translated by Updating. Author(s): Cocooned Cow,蚕茧里的牛. Already has 6936 views. Current Time is 21-Apr-2019 03:02:29 AM.